Always accompany our Supply natural, rich and nutritious products. Easy to make and with high protein. And what better with Quinoa Inka Millennium !!! Now we prepare simple steps in a rich and nutritious fresh salad. Wash lettuce leaves with water, remove excess water and chopping hands (no knife) by placing first in the bowl. Cut the tomatoes into slices (if they wish to remove the shell. Eggs cook for 8 minutes and then cut into 4 pieces each. Broccoli and boil the corn with a little water in a pot until cooked, then transfer to a container with water and ice to prevent overcooking and lose their fresh color. In another pot cook for 10-15 minutes, the white and red quinoa in equal parts (4 tablespoons per quinoa per serving), then drain in a colander and cool water. Garnish with eggs, broccoli and shelled corn, putting to end the Cold Quinua mixed. Season with salt and pepper to taste, and add the lemon sole discretion. Finally add the olive oil to taste and READY !!! To enjoy excellent fresh and nutritious quick salad. Our rich Andean grain varieties and nutrients for the benefit of all mankind. Recent research formulation called Food trends: ancient grains and sprouted ingredients, the firm Packaged Facts United States, accounts for the large number of food products that contain ancient grains as our ancestors ate and now recreated as ingredients countless products. Improved test is that in 2014, 19% of Americans reported having used those old products including grains; and these have been marketed in specialty stores at conventional supermarkets. But the most important result of this research is that it appears that the trend will continue. This is for Peru, a concern and a challenge. A concern that this trend will accentuate the interest of other countries, for example in producing and exporting quinoa. As is known, the US, Denmark, Spain, England and Finland have achieved new quinoa varieties adapted to your climate. The same could happen with amaranth or amaranth and cañihua, which our country could lose the leadership that has as a producer and exporter of these grains. The challenge that the study itself raises is that the use of these ancient grains, which in the case of Peru were used by the Incas, has spread thanks to its use as an ingredient in other finished products in different categories: cereals, breads, bars nutritious and chocolate, snacks, noodles, biscuits, yogurts, beverages, gluten free and vegan, among others. This means that there is a whole range of possibilities for developing value-added products in these and other categories. But as the study itself points out, innovation must also include new flavors, textures and features that enable the development of new end products that can be sustained over time. In this sense, we must keep an eye on the four trends that influence study suggests that sustain consumption of these ancient grains: the greater interest in making the breakfast in a key meals; consideration of these grains as a protein source; the perception that the inclusion of these ingredients in the final product becomes more natural; and the potential for development of products without gluten. The good news is that there is an oversaturation of quinoa but on the contrary, whenever the ancient grains (quinoa and company) are more incorporated into new product formulations. The bad news is that in Peru we have no ability to react as quickly to these demands of new developments that include these grains; or, its development requires technologies that not many companies have. Therefore, all are important efforts made to promote innovations in agribusiness, and one option grant funds are now offered by the state, supported by the Center for Technological Innovation (CITE) Agroindustrial and universities, but all companies interested in taking advantage of these opportunities that have opened to add value to the ancient Andean grain of our country. In these times, when the tendency to consume natural products is growing every day, we accompanied an article here where we see the best vitamins contained in each fruit. We know that fruits are excellent sources of vitamins and minerals for our body, but as we always say variety is the taste and benefits. So today we show you the different nutrients our body needs and what to eat fruit to add to the diet. We begin with the vitamins that are the nutrients frequently know and we can find in different fresh, dry or dried fruit to thereby prevent its deficit in the body. Vitamin A: Generally we find this vitamin in orange or yellow fruits such as mango, loquat, persimmon, papaya, apricots, melon and dried apricots color. It should be noted that these fruits are rich in vitamin A also have a high proportion of carotenoids with antioxidant function. Vitamin D is not among fresh or dried fruit, but fruit consumption favors absorption acid to provide a means to optimize their use. Vitamin E: it is with vitamin A, D and K a fat-soluble vitamin, so it is more in nuts and dried such as walnuts, almonds, pine nuts, pistachios, dried peaches, prunes, chestnuts and some fresh fruit more than others such as figs, blackberries, raspberries, blueberries, pears and medlar. Vitamin K: although the fruits are not good sources of vitamin K, we find a small proportion of this nutrient in the kiwi, banana and some nuts. B vitamins: in this complex vitamins are vitamin B1, B2, niacin, folic acid, vitamin B6 or pyridoxine, and vitamin B12. We can find these nutrients, except vitamin B12, in all fruits, but for example, noted for its vitamins B bananas, almonds, walnuts, loquat, apricot, orange, kiwi, papaya, passion fruit and Granada. Vitamin C is one of the most popular of all vitamins and know we can find mainly in citrus (orange, kiwi, grapefruit, lime or lemon), however, also found in strawberries, nectarines, papaya and haws. You see that eating a variety of fruits guarantee various vitaminasque intake our body needs and, with these as healthy and tasty foods can prevent micronutrient deficiencies in our body. Potassium is found in all pear fresh fruits that stand out for their content this good for the health of bones, teeth and cardiovascular system mineral are bananas, grapes, especially red grapes, loquat, fig, kiwi, apricot, Granada, melon, dehydrated and dried fruits in general. Magnesium: This mineral is also important for the health of our bones and to the nervous and cardiovascular system in general. It can be found in fruits such as passion fruit, bananas, dried peaches and apricots, prunes and raisins, pine nuts, almonds, walnuts, pistachios and chestnuts. Calcium is essential for the maintenance and development of bones and teeth mineral, but also key to the nervous, muscular and cardiac system. We can find it in dried apricots and peaches in raisins, blackberries, raspberries, orange, fresh fig and dried figs, pistachios, pine nuts, almonds, walnuts and prunes. Iron: This nutrient is key to preventing or reversing nutritional anemia and can be found in nuts and dried in general, especially in dried apricots and peaches, prunes, raisins, pine nuts, almonds, pistachio, passion fruit and few proportions in other fresh fruits. Of course, besides all these minerals, we can find fruits with antioxidant elements such as selenium and zinc in very small proportions fruits sodium have therefore ingredients are very useful when seeking care for heart health . As we can see, inside the fruit we can find a variety of vitamins and minerals, just to know what nutrients you need and tell you that eating fruit. To prevent nutritional deficiencies and health care, it is always advisable to go to different fruits, of every kind and color throughout the day and week, in order to obtain variety of vitamins and minerals your body needs to function properly. And you, what you eat variety of fruits each day? To the extent that we all participate in taking actions against the effects generated by our consumption in general in the environment, this planet will be more healthy and beneficial to us and our children . Using a bicycle, buy local food or wash dishes by hand are very simple steps to reduce your ecological footprint at home. You want to know more? Consumption as a means to achieve well-being, is one of the highest tenets of capitalism. However, this consumption, which initially tends to be basic consumption is often transformed, often in excessive consumerism if not careful. Since the emergence of capitalism in Europe, the acquisition of wealth was the key to achieving great man status in society criterion. In our current society, the technological development is the main cause of excessive consumption. In him large sums of money are invested and given priority over other things such as food or health; that is, it is given more importance to having to being. The problem is buy things they do not need. Which is directly related to the impact on the environment, or rather with the ecological footprint we leave. 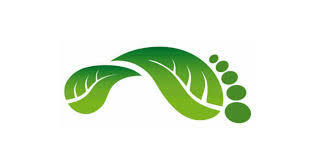 The ecological footprint is a sustainability indicator to measure the impact of our lives on the environment. In other words, all the decisions we make about what we buy, eat, use or wear, including processes to make them possible, have a direct impact on the environment of which we are responsible. When we think of the installation of solar panels, efficient appliances and electric cars, we are often discouraged by the economic impact on our wallets. However, there are simple and inexpensive things you can do from home every day that allow you to reduce the environmental impact. Motor vehicles are the major source of CO2 emissions. These emissions are responsible for the greenhouse gases which, in turn, causes an increase in temperature of the earth. If you need to cover long distances using public transport, so also will reduce the number of cars circulating in the city. For medium distances you ride and walk for short distances, this will also help you improve your physical health. In case it is impossible to use any of these alternatives, pruebacompartir your car with neighbors or friends you can leave close to their destinations during your commute to the office. Many countries have limited reserves for drinking water and in some places, this liquid waste is vital to fined. Some actions that can be implemented to conserve water are: use the shower instead of the bath; fix leaky water faucets; use a glass of water while we brush our teeth; reuse water from the washing machine to wash the yard; and seize it as far as possible. Food supply is another major environmental problems today, not only food waste but for the cost involved in producing it, package it and distribute it. The solution is to eat local and seasonal products because, in addition to promoting the local economy will be consuming more fresh and free food -especially preservatives are organic. Try to reduce your intake of processed foods: instead of buying a bottle of juice, eat a piece of fruit; containers used to transport water from home instead of buying bottled water. Buy food in bulk or bring your own containers, you can also choose to use cloth bags or paper to carry your groceries. Another option is to have a small garden at home you can either install located in pots on the patio or balcony. With organic waste produced in the kitchen can produce fertilizer that can be used to harvest vegetables in a healthy way for our own consumption. You may have home electronics that save us a lot of effort to do some everyday activities. However, this effort is saving at the cost of high energy consumption and its impact on the environment unchanged. Hanging clothes in the sun instead of using the dryer or washing dishes by hand not use the dishwasher are simple actions you can start doing. Another energy saving measure is to use energy saving light bulbs or LED lamps instead of the traditional yellow lights; just remember to turn them off when you do not need. Being aware of our own consumption is more effective than recycling and reducing solution footprint, representing a preventive action. Often we throw or keep devices working perfectly just because it was released a newer one. We can easily extend the life of many appliances whether recycled or donated. But above all, avoid buying what you do not need. At the end you will see that there is nothing more rewarding than a simple life. Quinoa Recipe with cheese and spinach. Here we accompany a rich, quick and easy recipe that can make our Quinoa Inka Millennium !!! This is a perfect way to start the day, as they are not only healthy, but they are also full of protein, and other well with cheese and egg, then we leave the recipe for this delicious dish. Preheat oven to 350 degrees. Grease the mini muffin tin with coconut oil or canola oil. In a medium bowl, combine the hot quinoa with cheese to melt. Add the eggs, parsley, spinach, salt, pepper and Italian seasoning. Stir to combine. Pour into molds for mini ponquecitos, filling to the top. Bake for 20 minutes. Remove from oven and let cool for 10 minutes and ready. Where do you want threw garbage into the sea? Inka Millennium in his constant concern for the environment, some of the products made with recyclable packaging materials such as glass and our packaging paper and / or cardboard. So that we know where all the garbage that we take in seas and oceans is directed, NASA has monitored thousands of scientific buoys to the National Oceanic and Atmospheric Administration of the United States (National Oceanic and Atmospheric Administration, or NOAA) is launching in a 35 years. The result of this monitoring we can see in the video that heads this post: as buoys follow the same path as other floating objects, are well known how sea currents carry away. The current guidelines have prompted objects large enough to not get ending in five. Five places where we can find five giant floating islands made of trash (mostly plastic). We all know, our quinoa reaches around the world. Now a chain of fast food is the showcase for the customers. The fast food chain McDonald’s in Germany has been using the Peruvian quinoa in the development of its innovative veggie burgers, called “Veggie Clubhouse” to offer their customers the option of a healthy and nutritious product. In order to publicize its new product McDonald’s Germany began an ambitious marketing campaign, with which, expects to attract the growing number of consumers and vegetarians who eat little meat there.